Northampton Jazz Workshop features guitarist John Stowell from Portland, OR on Tuesday March 28th, 7:30PM followed by an open jazz jam until 10:30 PM at the The City Sports Grille at Spare Time Northampton, 525 Pleasant St., Northampton. 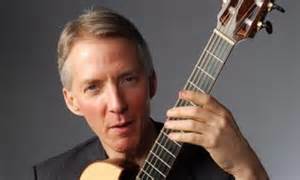 This week we welcome back master guitarist John Stowell as he makes his annual East Coast swing from his native Portland, OR. John will be sharing with us his arrangements of the music of Antonio Carlos Jobim and Billy Strayhorn, two of John's special interests. The concert set starts at 7:30, followed immediately by the jam session until 10:30. No cover or minimum. City Sports Grille at Spare Time Northampton, 525 Pleasant St., Northampton, MA.